Mobile Trading – Financial Freedom or Hidden Health Risk? The thing we like most about our smartphones is the very factor that causes some to claim they are the devil's work. We can, and do, use them to do practically anything and everything. Whether you want to check your bank balance, listen to your favorite music, meet the love of your life or book a table at a restaurant to take said love on that first date, you will immediately turn to your trusty smartphone to do it. We've all seen the headlines in the media, and the dire warnings that we are becoming addicted to our phones, but that doesn't alter the fact that there are more apps allowing us to do more things appearing in the app stores every day, and our reliance on mobile tech is only increasing. Forex trading apps are a case in point. In a world where traditional investments are no longer enough to guarantee a comfortable financial future, currency trading is gaining attention among amateur investors. After all, there are plenty of successful Forex traders in the world, and the advent of trading apps that we can access day and night from literally anywhere means that trading is no longer something for the wall street specialists. This is an age of choice, and opportunity, and the online world allows you to do what you want when you want, 24 hours a day and seven days a week. That freedom comes at a potential price, though, and if you are looking to join the growing ranks of online traders, follow some basic rules to prevent the dream from turning into a nightmare world of addiction and financial disaster. Installing a trading app is easy, and costs nothing. Using it to make money is another matter. Amateur traders can get caught up in the hype of being a trader and can fully believe that they are "trading like a pro" as they open up the app while chatting to a friend over a beer to coolly complete a little trade. Of course, in that circumstance, you are doing the absolute opposite to what a professional is likely to do. What serious Forex trader is going to be in the right frame of mind to do their work while socializing with a friend and drinking beer, with the Patriots game blaring away in the background? Trading like a pro means getting into the right mindset, running through your trading strategy and then taking a long look at all the key indicators and signals to decide what trades are likely to be on your agenda today. Just like any form of remote work, you need some demarcation, and this is why mobile trading can be a dangerous thing. Don't think from the above that mobile trading apps are a bad thing. Quite the opposite, they are an essential tool for both pro and occasional traders. It all comes down to using the tools in the right way. Even the top Wall Street traders are not going to be doing hundreds of trades every day and watching the market 23 hours out of 24. If you are doing so as an amateur, there's something going badly wrong. 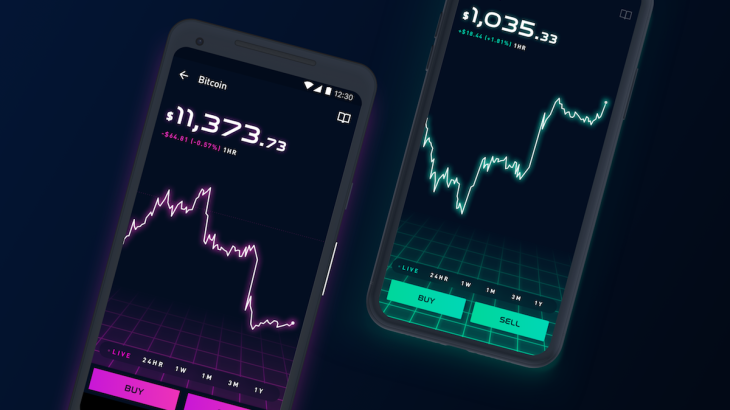 The advantage of mobile trading apps is that they are convenient - they free you from the need to sit down at your desktop to do your trading activity. But that doesn't mean that you have to spend any more time using them than you would if you were operating from desktop only. Ah, the a-word. It's one that the media loves to throw around. They would have us believe that we are addicted to unhealthy food, to coffee, to our cars, to TV and most of all to our smartphones. The trend towards demonizing any sort of luxury or convenience and shouting the word addiction at the first sign of over-indulgence is not just inaccurate. It is also counter-productive. Any kind of addiction, from cigarettes to shopping to gambling to junk food presents a serious risk and can ruin lives. The misuse of the word in the popular media, where anyone who gets drunk or eats unhealthy food or spends lots of time on their smartphone must be an addict leads to a classic boy who cried wolf scenario. It only makes it less likely for us to see the signs when genuine addiction begins to manifest. If you are trading at silly hours, waking in the night and instantly reaching for the app or finding yourself trading almost on "auto pilot" without even thinking about what you are doing, the first thing to do is stop. Take a step back and return to the drawing board. Every successful trader has an underlying strategy, and you can bet that none of them involve waking up to do panic trading at 3AM. If that doesn't work, the other great thing about the online age is that help, just like everything else, is always at hand, so use the resources that are available to you. Tags: mobile trading – financial freedom hidden health risk? Galaxy Note 4 Vs. Note 8 – Should You Upgrade? Are you looking forward to upgrading from your Samsung Galaxy Note 4 To Galaxy Note 8? After its release in August 2017, the Galaxy Note 8 was acknowledged as the latest addition to the list of Galaxy Note Smart Phones which are powerful and feature-laden. The handset undoubtedly is powerful and one of the most attractive presently available on the market. However should owners of Galaxy Note 4 upgrade to the latest version? The range of these devices from Samsung has had a set of problems with the previous version which was introduced as the Samsung Galaxy Note 7 developing a flaw in the battery in a few handsets which caused spontaneous fires and led Samsung to abandon the set altogether. The Samsung Galaxy Note 4 which was released in 2014 continues to remain one of the most popular among the handsets released by Samsung despite having some problems with regard to downloading kies though accessing Internet casinos does not seem to be a problem with this particular handset. It was also easy to download Samsung Galaxy Note 4 wallpaper according to relevance from the handset without going through many difficulties. The 4th generation had a large body and a rear which was textured and was considered as a large handset when it was introduced. It just had a screen which was 5.7 inches. It also had its problems because people in some parts of the world couldn't download Samsung kies for note 4 and Samsung kies galaxy S4 but downloading Samsung kies for Mac was possible. However, fans of the Samsung Galaxy Note 4 could have the bet365 mobile app android on the handset for entertainment with casinos whenever they required. The 8th is certainly different from the earlier version and is also heavier and thicker. The Samsung Galaxy Note 8 features the infinity display from Samsung giving a clear indication that a major portion of the handset's front is covered by the screen. Samsung has abandoned the concept of a home button and has instead preferred to offer alternatives to software. Unfortunately, the fingerprint scanner has been moved to the back of the handset making it rather inconvenient and the option of removing the battery has also been discontinued. However, the changes introduced have allowed Samsung to make the handset water resistant. 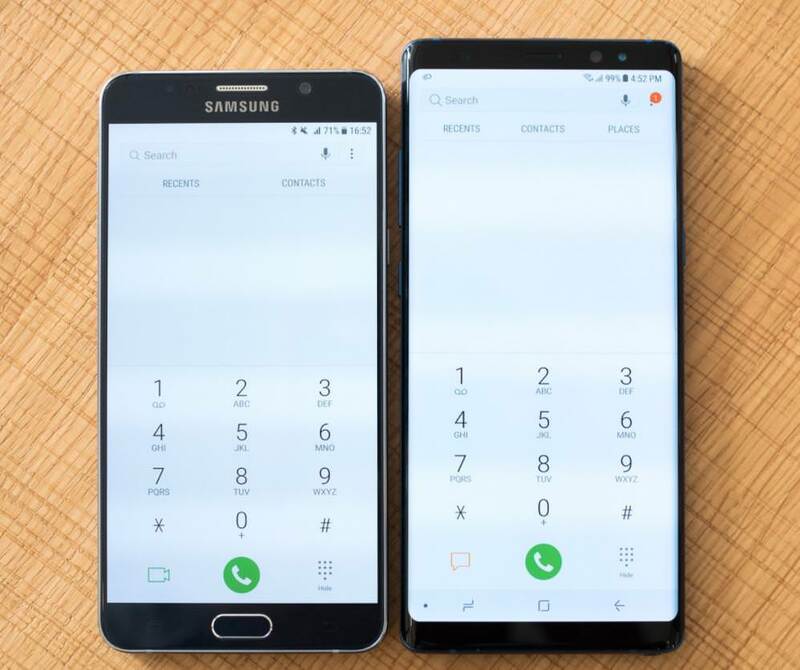 The Samsung Galaxy Note 8 has a display which is 6.3 inches along with a quad HD + resolution giving users a higher pixel density by some margin as compared to the galaxy note 4. Samsung has included the QUALCOMM Snapdragon 835 chip which is faster and is providing a 3GB RAM along with 64GB of storage which is an upgrade that can be considered as huge. Most importantly the Samsung Galaxy Note 8 Is Available with Android 7.0 Nougat and it is believed that the Android 8.0 Oreo upgrade would be available at some time in the near future. Despite the differences which are evident in Samsung Galaxy Note 8 people may want to consider whether they are willing to pay a high price for the fresh introduction as compared to the Galaxy Note 4 which is still available from online retailers for about $515. The Samsung Galaxy Note S8 is still available for around $550. Therefore fans of the galaxy note models would want to understand why they should be paying in excess of $850 for upgrading from Galaxy Note 4 to the latest version. Tags: mobile trading – financial freedom hidden health risk? 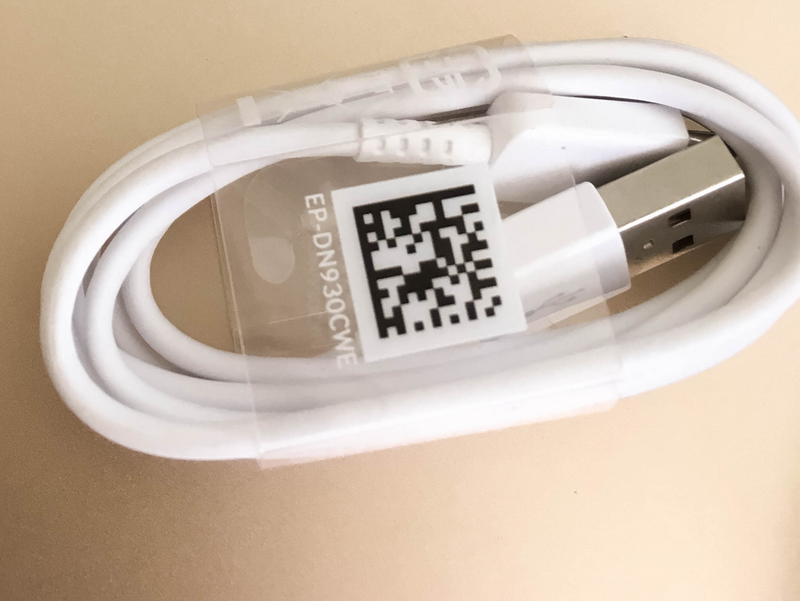 dr.fone – switch makes super easy move data between phones first look what could possibly usb type – cable note galaxy note vs. – should upgrade? If you are searching for a good-looking phone, the Google Pixel 2 is not the one. But if you are looking for exceptional battery life and a few sneaky extras, then it's worth a look. We have become accustomed to the latest smartphones being things of beauty but there is something exceptionally bland about the latest offering from Google. It has the same back panel and the same glass front. And nothing more. But where its looks let it down, it makes up for in other departments. At 5 inches, the Google Pixel 2 screen is a full inch smaller than its 6-inch screen cousin but in all honesty, this doesn't disappoint. It has a regular OLED display with top and bottom bezels that house a set of speakers, which are also fairly good in terms of sound quality. It may not have the sleekness of the new iPhone X and if you can afford the £1,000 price tag for that, then you wouldn't be considering the Pixel 2. It is, however, simple to use and has a fantastic responsive screen with a decent colour reproduction, making gaming on high-end sites such as slotsites.com a pleasant experience. Another plus for gamers and avid social media fans is the rather splendid performance of the battery. Other phones have long struggled to power the numerous apps as well as all day connection to Wi-Fi and/or data without the power source being drained. Although all smartphones manufacturers have upped their game when it comes to battery efficiency, the Pixel 2 has a battery beefy enough to last all day without it collapsing. The Google Pixel 2 runs the latest version of Android 8 Oreo, giving it a smooth, optimised and polished performance. Its snappy response works well with Google Assistant. There are some nifty extras such as the ‘playing Now' feature which recognises music around your and the new Google Lens feature recognises objects in photos, identifies landmarks and so on. The front and rear cameras on the Pixel 2 are identical to those on the Pixel 2 XL. At 12.2 megapixels it can certainly hold its own, although avid photographers are disappointed at what they see as the lack extensive manual controls. But the picture quality is certainly more than good enough. Some users are reporting a clicking or whining noise during operation, but this doesn't seem a widespread problem. The speakers are loud and clear, and with unlimited photo back-up included in the price, the £629 handset will no doubt prove popular with some. The Samsung Galaxy Note 8 is slightly cheaper at £540 with the iPhone 8 coming in at £699 which puts the Pixel 2 right in between the two. Does it deserve to be there for the price? If you want a long battery life, a great screen, squeezable side and the latest version of Android, then yes. But, if you are all about looks and lack of headphone jack, and want to experience wireless charging, then you may want to hang on for Samsung's Axon, the world's first foldable, dual-screen smartphone. While Pokémon Go might have added a new risk factor to online gaming - physical injury - app store safety traditionally revolves around viruses, micro-transactions, and adware. Here are three quick tips for stress-free gaming this autumn. Here's a strange fact about smartphones: mobile malware is a growth industry. In the twelve months between 2014 and 2015, the number of malicious programs attacking smartphones jumped nearly 200%. However, the number of viruses, worms, and other nasties hidden in the Play and App stores remained close to zero. So, how does malware get onto mobile phones in the first place? Viruses and their ilk are a non-issue for the majority of smartphone users; the threat only arises when people try to download apps from third party stores, especially those physically located in the Middle East. In some places, your infection rate can be as high as 1 in 3. A good example occurred shortly before the release of Pokémon Go, when a malware-infested app called Guide for Pokémon Go appeared on third-party app stores. It was downloaded half a million times before anybody noticed that it was up to no good. Apple and Google's vetting systems aren't infallible - there's at least one story of an app with no functionality at all becoming a five-star app on the Play Store - but at least the odds aren't stacked against you in the official stores. You might not have realised but every app on your phone has your explicit permission to do certain things. For example, Facebook and Instagram can both access your camera; Pokémon Go can find out your precise location, and Gmail can view your phone's calendar. Apps need these permissions to function. However, you should always try to ‘connect the dots' before giving a new app VIP access to your phone. For example, Facebook needs to ‘talk' to your camera every time you try to take a photograph from within the app and Pokémon Go uses your location to determine your proximity to monsters; that makes sense. Ask yourself if that calculator app you've just downloaded really needs access to your text messages. You should also be wary of imposter apps, especially anti-virus tools (Symantec has removed fake ‘Norton Anti-virus' apps from the Play Store in the past), as these can be used by criminals to scam you. Using the above example of the calculator app - a favourite trick is to send thousands of automatic text messages to premium rate numbers, landing you with the bill. Having access to casino games on the go is one of the benefits of smartphone gaming but it's important to find a trustworthy operator, especially if you intend to play cash games. Closing the app and visiting the company's website with your browser is an easy way to determine the legitimacy of a gambling firm, as most casinos have their credentials on the homepage. The Betway app, for example, is regulated by the Belgian Gaming Commission, as well as other bodies such as the European Sports Security Association. The same goes for apps with micro-transactions. Reports indicate that micro-transactions - small payments for extra lives, in-game currency, or other luxuries - make up 79% of all mobile developer income. They're an easy way to make money from otherwise ‘free' apps and they're not going away. Ensure that all payments you make on a mobile platform go through the Play Store or the App Store, as the two companies have various safeguards in place to prevent fraud, and you may be able to get a refund if the app doesn't work as expected or somebody else uses your account to buy things. Apple and Google won't share your payment details with the company who created the app. One final point - you can learn a lot about a mobile game, from compatibility and user experience to the number of micro-transactions, by reading the customer reviews on the two app stores before downloading the app to your phone. It sounds cynical but somebody else's bad luck might just save you from installing a fraudulent or malicious app. Gambling market is growing rapidly and continues its active developing. Each day more and more people are interested in such entertainments. Therefore, in order to be the first among a huge number of competitors, the provider needs to offer his player something more than he can get in other casinos. One of these services is the opportunity of mobile slots' usage. Today smartphones - an essential attribute of almost every person, regardless of his age. It's clear that representatives of gambling business could not but pay attention to this trend. Today, the mobile version of the online casino is not just a bonus feature. Now, to increase the number of potential customers, providers are forced to add slots' versions for mobile devices. As vivid example http://slotmine.com/slotsmagic-casino/ can be mentioned. However, mobile slots have their pros and cons. · It should be noted that mobile slots have no difference with their desktop counterparts. The control system is fully adapted to the touch panel. One more very important issue should be mentioned: slots of the World Wide Web are much more generous than their iron predecessors. The return of many of them is 95-99%, that is, the chances of winning in honest gambling establishments for gamblers are very high. Another plus of virtual slots is their large assortment. A huge variety of mobile slots allows each user to find something that will be interesting to him. Moreover, many of them are decorated in a certain theme and turn gambling into a fascinating adventure. The video slots in the World Wide Web make it possible to satisfy the passion for excitement even for those who do not have free money. · Opponents of online gambling excitement assure that nothing can replace the special atmosphere of the traditional casinos. They do not have enough live communication and a special atmosphere in Internet clubs. Of course, everyone cannot be pleased: that for one is an obvious flaw, for others is also an obvious advantage. Many players like virtual slots for the fact that this kind of gambling does not involve communicating with other people. That is, the player can fully concentrate on the drums' rotating and for a while forget about the everyday routine. Today players increasingly get access to slots and other types of gambling using mobile gadgets. As a rule, they include smartphones, tablets, PDAs, etc. 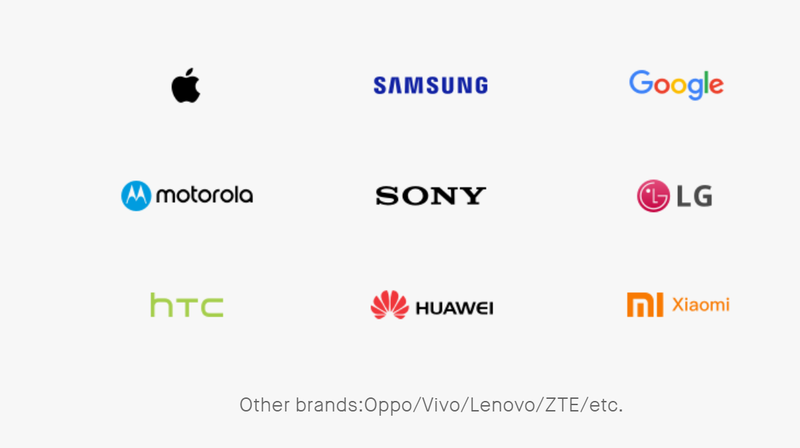 Support primarily depends on the type of OS gadget and its characteristics. If all rules are met, then the player needs just to download and install special software upon his gadget. It is obvious, that the virtual segment of gambling has grown to huge dimensions. Players of this market get very good profits and do their best to increase their income. For this, there is only one way - creating the most comfortable conditions for players and satisfying all their needs. Therefore, providers of gambling software are constantly improving their creations and regularly delight fans of virtual excitement with amazing new products. Summarizing, we can conclude that mobile slots have more advantages than disadvantages, it is important just to choose a modern mobile device. We have good news for owners of Samsung's 2014 flagship as Galaxy S5s in Sri Lanka just got updated to Android Marshmallow. The S5 had already been updated in South Korea, Trinidad and Tobago and Argentina among other nations but this time it was the most common version of the S5 that started receiving the upgrade. 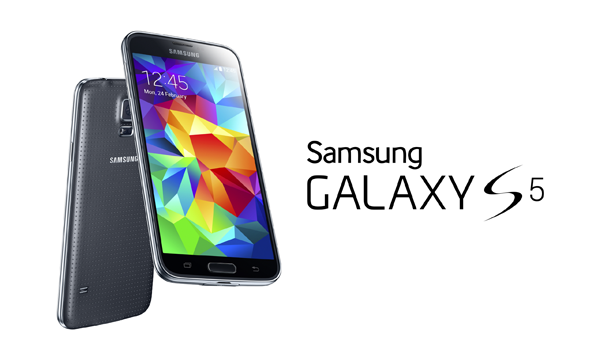 The SM-G900F is the most commonly found version of the Galaxy S5 and is used primarily in most of Europe. This probably means that the remaining geographical locations where people use the SM-G900F will also start receiving the upgrade very soon. Got o Settings, find About device and tap on it, select Software Update and check to see if the Marshmallow update has reached your smartphone yet. Note that this will NOT hasten the process, as the update will only arrive on your S5 when it's scheduled to arrive. It may give you some peace of mind though. After it does arrive on your S5, you can schedule the entire download and set it up to be completed at a time that is convenient for you. On completion, your Android version will change to 6.0.1, PDA number will change to G900FXXS1CPC8 and CSC number will upgrade to G900FSLK1CPB2.